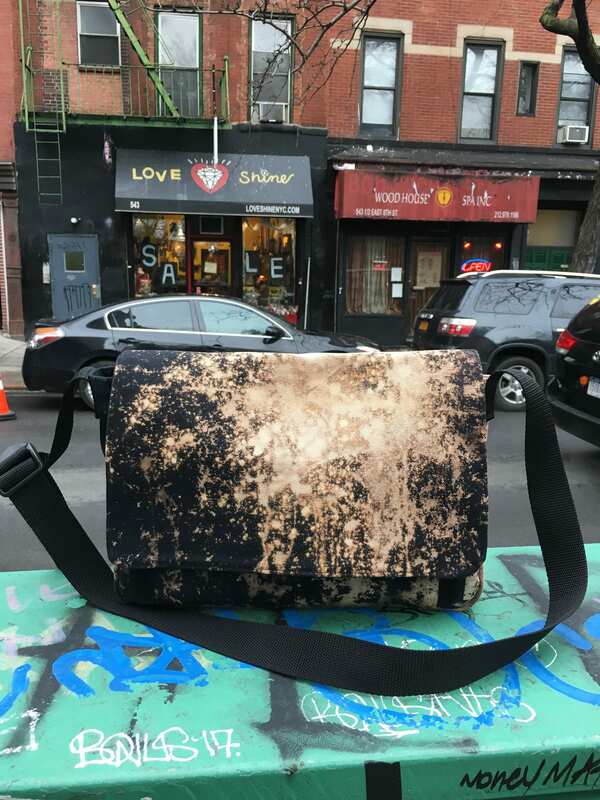 This is a medium size messenger/courier style bag constructed from hand treated and dyed heavy duty cotton duck black canvas. 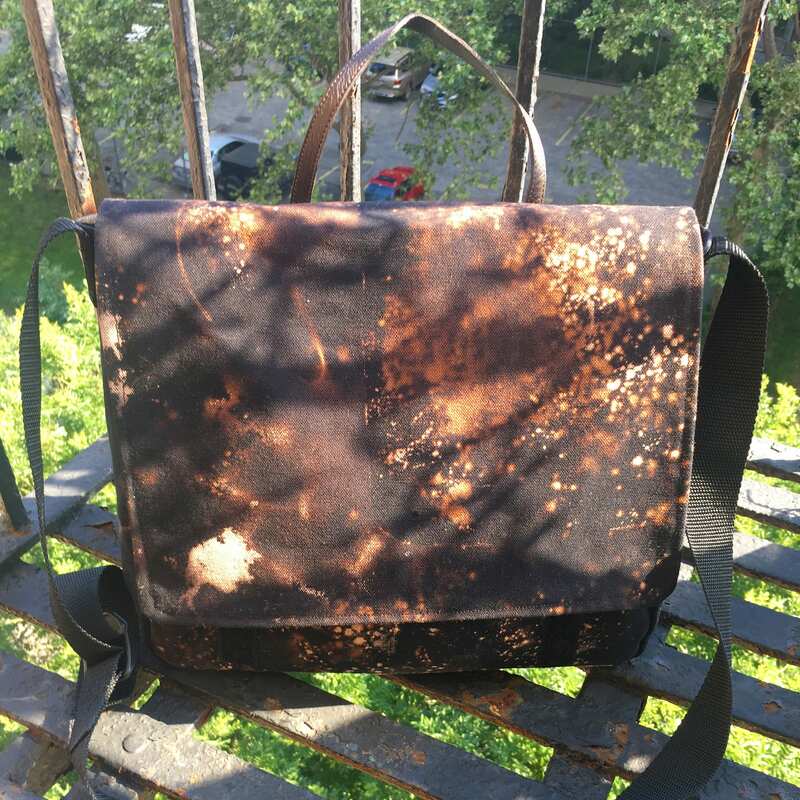 Each bag is unique and different in the way the canvas is treated. 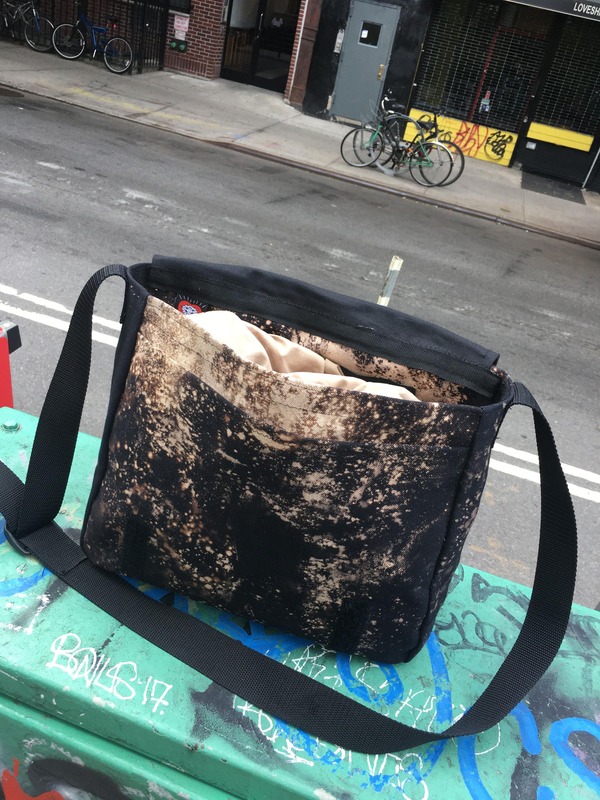 This bag features one large interior pocket and a larger exterior pocket under the flap. The flap of the bag secures to the body with a velcro closure keeping your belongings safe. This bag has a 1.5" black poly pro adjustable webbing strap. 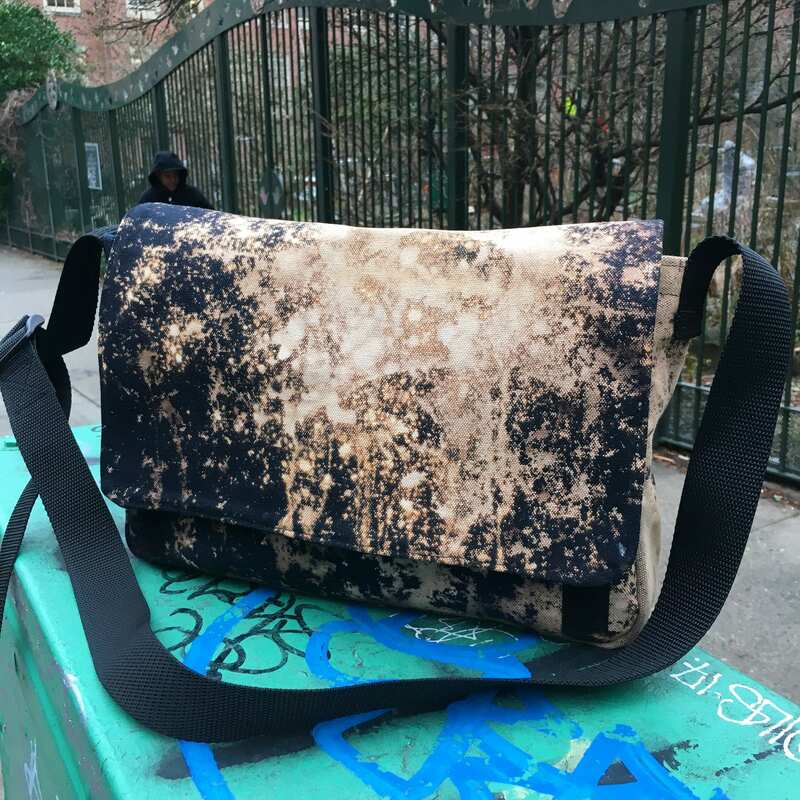 This is a lightweight bag, perfect for school, the office and traveling.